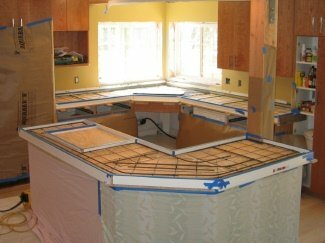 Concrete countertop reinforcement helps to increase the tensile strength of your countertop. To ensure sufficient tensile strength and help eliminate structural cracking, reinforcing countertops built using concrete is a must. 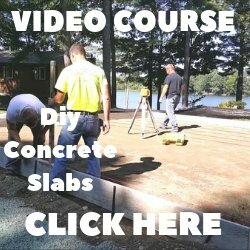 There are many different reinforcing materials you can use, either alone or in combination, to reinforce a concrete countertop. 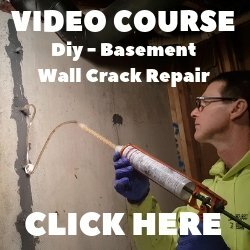 To be most effective at minimizing cracks, these materials should be placed in the bottom half of the form when you install the reinforcement. Many concrete countertop contractors use 3/8 inch rebar or pencil bar, both made of steel with the pencil bar being about 3/16 inch wide. Used together, and tied in a 6 inch grid, these steel bars will greatly increase the tensile strength of your countertop and lesson the chances of it cracking. For best results run the thicker bars the long way and tie the pencil rod, perpendicular, every 6 inches over the top of the 3/8 rebar. Use thin tie wire to tie both rods together. Galvanized wire mesh is another good option for reinforcing material used in concrete countertops. If you are pouring your countertop in place, secure the wire mesh in the bottom half of the counter and place the concrete around the wire. Never push the wire mesh down into the concrete after it has been poured. This will cause shadowing on the surface of the concrete countertop that looks like the wire mesh grid. 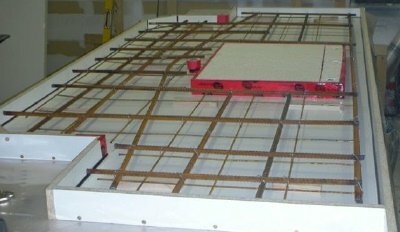 If you are making a precast concrete countertop, in the shop or in your garage where the bottom of the form is the top of the countertop, place about 2/3 of the mix in the form and set the wire mesh on top of that layer. Slightly push the wire mesh into the mix, then continue to fill the form until you're done. Galvanized masonry reinforcement wire, the stuff that looks like a ladder, and diamond lath wire are two more types of good concrete countertop reinforcement. For additional insurance against cracking, particularly smaller nonstructural cracks, some contractors add tiny synthetic fibers to the countertop mix. 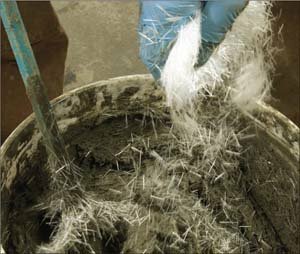 They just sprinkle the fibers into the mix during the mixing process, then place the concrete into the form like they normally would. 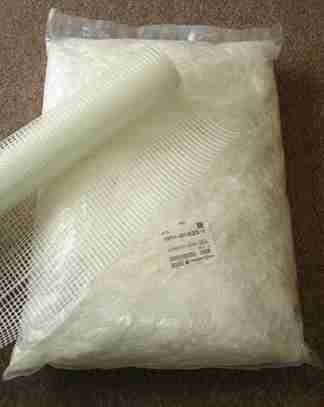 Another type of very strong fiber reinforcement is glass fibers or GFRC. Glass Fiber Reinforced Concrete is very strong and has a much higher tensile strength than other types or reinforcement. GFRC concrete countertops have become the standard for most concrete countertop contractors. No matter what kind of reinforcing method you use, hairline cracks may still occur. These hairline cracks are non-structural and should be considered part of the character of the countertop.